Have you ever experienced broken elbow? Elbow fractures can happen when people have their arm twisted and it can further create injury. Sometimes it can be considered as a fracture as well as dislocations and also sprains. When you feel unsure about whether it is really fracture or not, you can ensure yourself by going under the X-ray and for getting further detail, you can take CT scan (signs of a broken elbow). It is needed to know whether it is broken elbow or just pain in some areas so that you can decide the direct treatment whether you want to have the short treatment or the long term treatment. 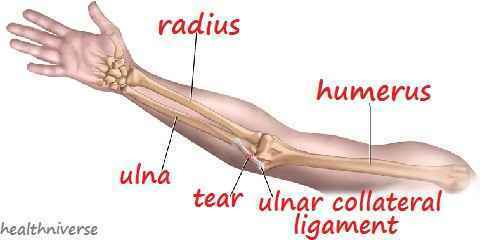 Broken elbow can be differentiated into three types. They are the radial head and also neck fracture, olecranon fracture, and also the distal humerus fracture. This kind of fracture happens with the forearm rotation. When you turn your palm to face up and down, the pain seems to get worse. How to treat this radial head and also neck fracture? For treating this fracture, it will be different one another since the treatment will based on the total number of the bone fragment and how big the fracture is. When the fractures are found in complex way, the doctor would highly recommend surgery for both treating the bones and removing the bone pieces from damaging other parts of the elbow. This fracture is different from the radial head and neck fracture. It is much worse than the radial ones since it needs surgery. Most of the bone fragments are found broken and also displaced. In order to make them aligned, you need to use wires and also pins or even plates. This is the other type of fracture which it mostly happens in elderly and children. This type has to be carefully examined by the doctor since it needs surgical repair since it creates numbness. In order to treat the broken elbow, the best and the simplest way to get rid of it is by doing the surgery. Surgery can be the best since because the doctor will know what really happens down there. When they found that there are so many bony pieces they can remove all of them very clearly. Besides, it minimizes any kinds of infection’s risk. In fact, when you are totally afraid of having surgery or maybe you imagine it too far, you can have the treatment that doesn’t deal with surgery. For example, you can use cast, sling, or splint when there is no bony piece found. In other words, if the broken elbow or the fracture is in the low percentage of being serious, the non-surgery treatment can be the best way to get rid of the pain. It turns out to be different when the fractures found are in terrible condition. Sometimes different age also matters in treating. You can decide yourself whether you need to have the surgery or the non-surgery treatment in dealing with elbow fractures.